conservation practices that can increase productivity, bolster soil health and improve water quality. Examples of these practices are cover crops, strip-till and no-till, bioreactors and saturated buffers and others. This website also has a blog featuring Iowa farmers and members from ACWA as guest authors. 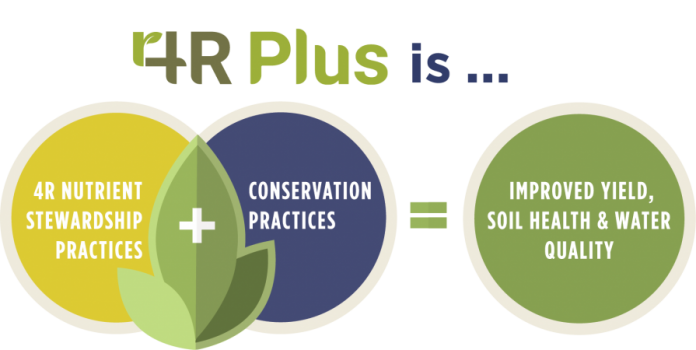 Also on the 4R Plus website, see the Conservation Practices page for a description of the suite of practices that farmers can implement on their farms. Clicking on a practice takes you to an NRCS page with details about the practice, including technical notes, job sheets and other useful information.